My 2003 Lincoln Town Car started running rough and tripped the service engine light. I called Auto 1 Diagnostic and he came over the next day. He not only checked the code, but did a compete diagnostic check on the compression, fuel system, just about everything. 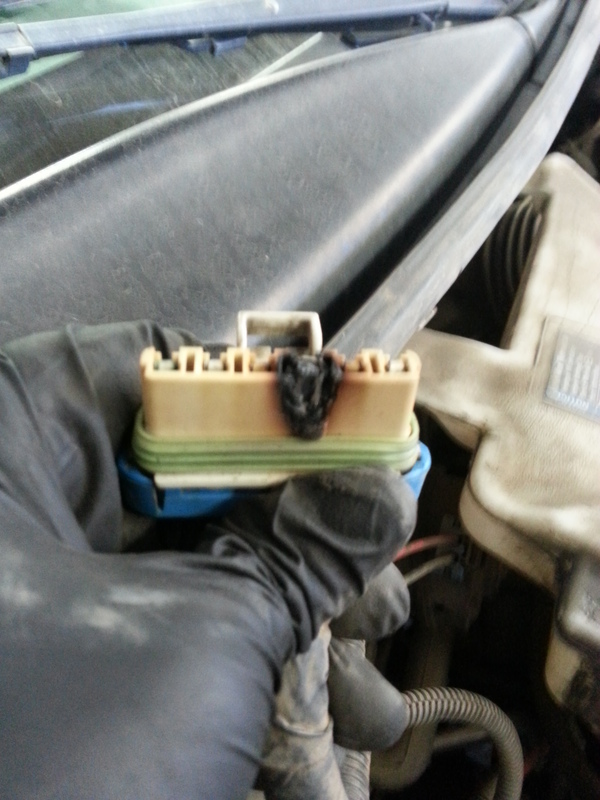 He determined that the problem was a misfire on cylinder 5 and that the coil was bad. Upon further inspection he could see that the spark pugs were old and shot as well. 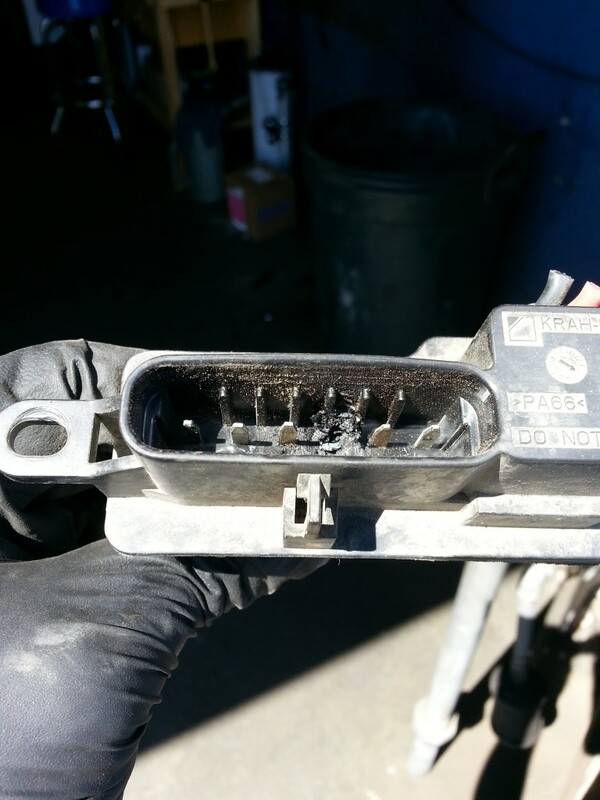 So, he replaced the plugs, and the coil, and did a service which cleaned out the throttle body and intake from all carbon deposits.Then, he actually road tested the car to make sure everything was good. It now runs better that it has in a long time. It’s great to do business with someone who actually knows what he is doing, who uses the proper equipment to determine exactly what the problem is, and then shows such great attention to detail to make sure everything is done correctly. Today’s call wasn’t that unusual in the fact that the car had been to a local dealer for a check engine light. The dealer found a DTC P0340 that pertains to the camshaft position sensor. The customer also had a vehicle inspection done. They charged him $139.00 for the diagnostics The dealer told him the camshaft position sensor was bad and needed to be replaced. They also told the customer they were not sure if that was the only problem or not. They said it could be a PCM and that they would need to first replace the camshaft position sensor to know if the PCM would also need replacement. This was at a Ford dealer in Salinas. This is a common dealer practice to avoid proper diagnostics and throw parts at the car without being held accountable for their lack of diagnostic work. The customer was given a preliminary estimate to replace the camshaft sensor for $680.00 and they would let him know if the PCM was okay after they did the work. This customer had me work on another of his vehicles and had called me for an estimate to do the cam sensor replacement work on this one. I gave him a quote and explained that there is no guarantee it will fix the problem because I didn’t diagnose the check engine light fault. He agreed and just wanted me to do the work as soon as possible. 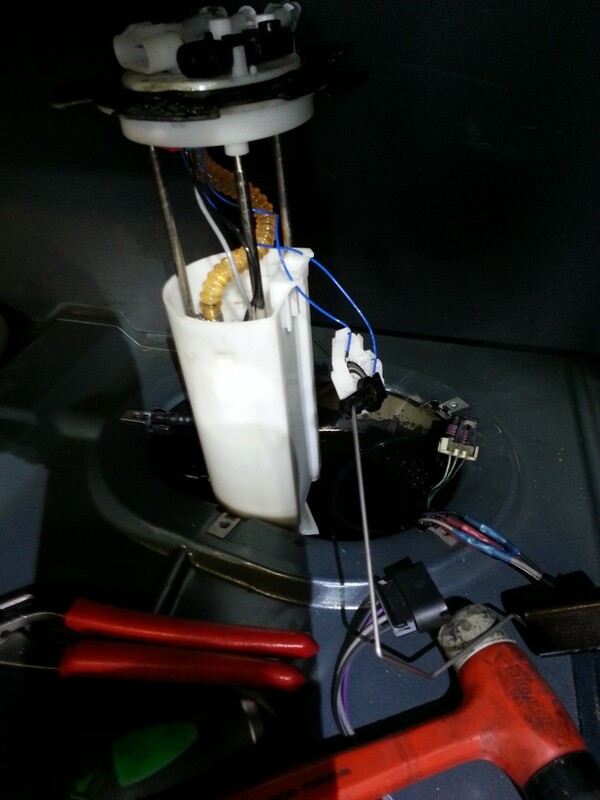 I set it up for Friday the 13th in the morning and started to take the car apart to gain access to the cam sensor. This is a 2002 Ford Thunderbird with a 3.9L V-8 and the sensor is buried under the cowl and front strut support bar. After removing the necessary hardware to gain access to the sensor and connector, I spotted that the sensor’s plug assurance tab was not closed and the connector was not plugged in properly. I pulled on the connector and it fell out of the other side. I also noticed 2 broken bolts on the valve covers at the rear corners. That’s when the customer told me that he’d had a Craig’s List mechanic replace the spark plugs and valve cover gaskets a while back and the person damaged and broke the bolts for the coil covers that bolt to the valve covers. The customer said that the check engine light came on after the work was done. He also said he had contacted this mechanic and was going to meet him at his next job to have him recheck the car, but the guy never showed up and won’t answer his phone anymore. He told me this guy’s name is Luke and he’s the 40 dollar guy on Craig’s List. I’ve had the pleasure of repairing other customer’s cars after this guy has caused damage and performed bad repairs on other vehicles. He’s not a good mechanic by any stretch of the imagination and will stop taking calls when things go bad. Don’t be taken advantage of by this type of underhanded repair scam. Anyway, I found the problem and it wasn’t a bad cam sensor as the dealer stated. It’s obvious they never did more than pull codes and condemn the sensor without doing any diagnostics. They charged the owner $139.00 to diagnose it and never spent any more time than to read codes. This is why dealers have a bad reputation. On top of that, they did the inspection and told the customer his brakes were good. After I corrected the camshaft sensor issue, the owner asked me if I knew of any way to remove a rock from his brake pads. I told him that I’ve never heard of this problem. I looked at the left front rotor and could see where it was starting to scrape on something and explained that I would need to do a brake inspection. He said the dealer told him that his brakes were fine. I took the brakes apart and found that the pad had no brake material left and I would need to do a front brake job as well. I finished the car and gave it a good road test. The customer was very happy that I was able to fix his car for much less than the dealer and do the job properly. Don’t let unscrupulous dealers and Craig’s List wannabe mechanics take advantage of you and your car. Find someone you can trust and keep them as your mechanic. I’m glad that this customer didn’t fall victim to the dealer’s scam and only had to pay a fraction of the repair costs that the Craig’s List scammer caused.